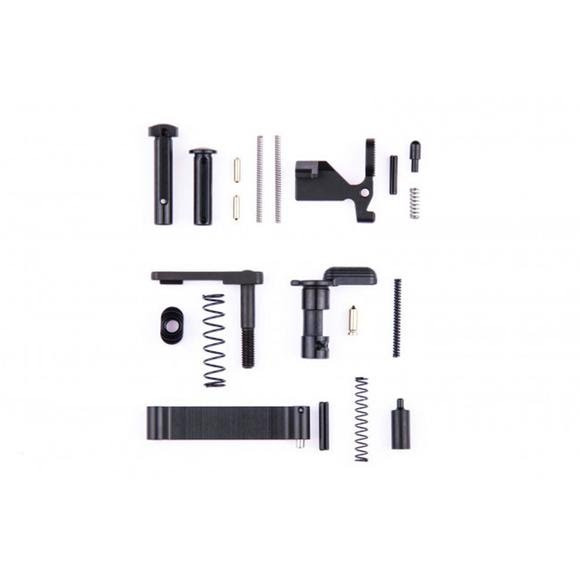 CMC Triggers Complete lower receiver parts kit for AR-15 are a great addition to your AR15 build. From amateur gun builder to seasoned expert gun smith, this lower parts kit is for you. All parts meet or exceed MIL SPEC. NOTE: Fire control group and grip NOT included. CMC Triggers Complete lower receiver parts kit for AR-15 are a great addition to your AR15 build. From amateur gun builder to seasoned expert gun smith, this lower parts kit is for you. All parts meet or exceed MIL SPEC. NOTE: Fire control group and grip NOT included. Material All parts meet or exceed MIL SPEC.